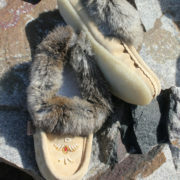 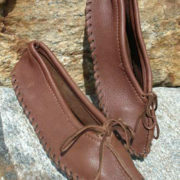 Chocolate brown is a popular colour in our selection of fleece-lined, rabbit fur trimmed moccasins. 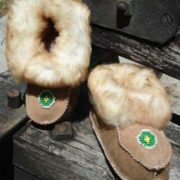 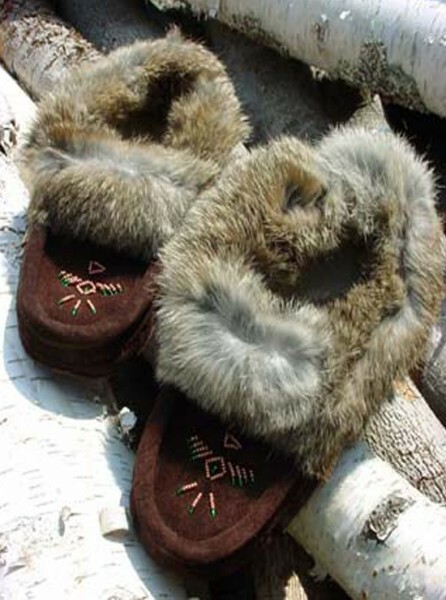 Cozy and durable, you’ll appreciate these moccasins on cold winter evenings! 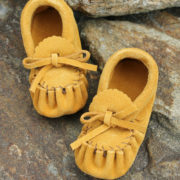 Recommended for indoor wear only.